This page tells you what is required, where to get what you need, and what it costs. The prices quoted below are current for the 2019 season unless mentioned otherwise. The Mitchell River National Park entry fee was waved when the Ngauwudu Road Zone pass was introduced in 2018. More on that below. The Geikie Gorge boat tour is not covered by a national parks pass. It costs extra. So does camping in any of the national parks. You can pay for access to parks individually ($13 per vehicle) when you arrive at the park. You may need the correct change to do so. You can visit more than one park with a day pass (if you can get from one to the other quickly enough). Allows unlimited entry for four weeks. 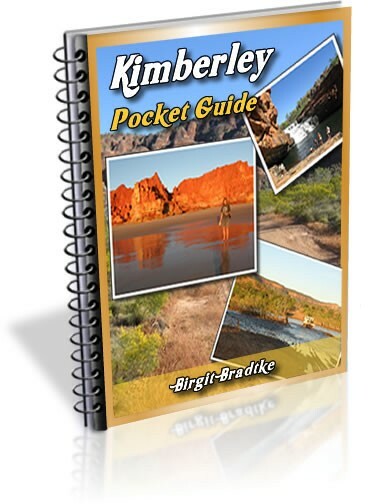 This is the best pass for most Kimberley visitors. Unlimited entry to all WA parks for 12 months. Run by the Australian Wildlife Conservancy (AWC). A visit to the Mornington Wilderness Camp requires a $25 Wilderness Sanctuary Pass. The fee is charged per vehicle and gives you access to the gorges in the area (Dimond Gorge and Sir John Gorge). You purchase the pass upon arrival. Like Mornington, Charnley River Station is managed by the AWC. Here also, a vehicle access fee of $25 applies. You pay upon arrival. A $22.50 per person access fee ($13.50 for seniors) applies at Manning Gorge. It includes your camping fee. Manning Gorge is only accessible via Mt Barnett Roadhouse and that is where you pay your fee. If you stay more than one night, additional nights cost you $14.50 per person. A day pass to visit the gorge without staying over night costs $8. The Munja Track, the access track to Bachsten Camp and the Walcott Inlet, heads north-east from Mt Elizabeth Station. You need to get a key for the gate from Mt Elizabeth Station ($50) and a permit from Bushtrack Safaris to use the track ($100). Both fees are per vehicle. To visit El Questro you need to purchase either a seven day Wilderness Park permit for $22 per person, or a day permit for $12. This also applies if you visit only Emma Gorge. If you book online the permit fee will automatically be added. If you did not book you can purchase permits or day passes at the station township or at Emma Gorge. The Ngauwudu Road Zone pass is valid for five days and costs $45 per person. Yes, per person. 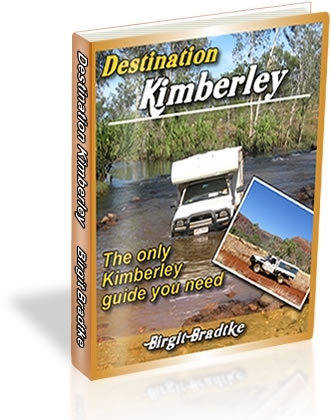 You can buy it online, at the Derby and Kununurra Visitor Centres, at Drysdale Station, and at the King Edward River campground. For Kalumburu you need two permits. The first permit, the Entry Permit to travel through Aboriginal Land, is free and should only take a day or two to process. Get it here. Even more important is the Kalumburu Recreation Entry Permit, better known as the “Yellow Tourist Permit”, which costs $50 per vehicle. You can prearrange the permit online or you can pick it up when you arrive, either from the supermarket or from the tourist info CRC building next door. If they are closed when you arrive, the campground managers can organise it for you. The Carson River Track is not accessible to individual travellers any more. It can only be done as a tag along tour with Just Over The Hills or Explore WA. You do not need a permit to traverse the Aboriginal land on the Dampier Peninsula and get to Cape Leveque (Kooljaman Resort) or any other places on the peninsula. However, several of the Aboriginal communities (e.g. Beagle Bay, Lombadina, One Arm Point) require an entry permit. You pay the required fee ($5 or $10) when you arrive at the community.